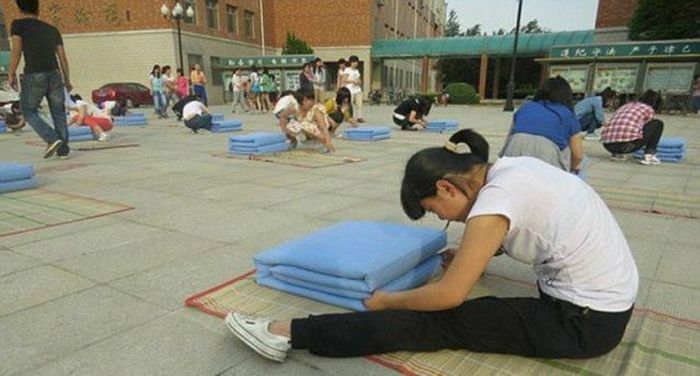 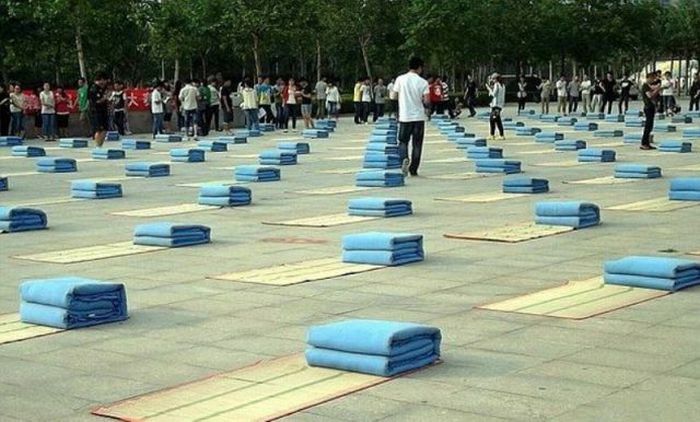 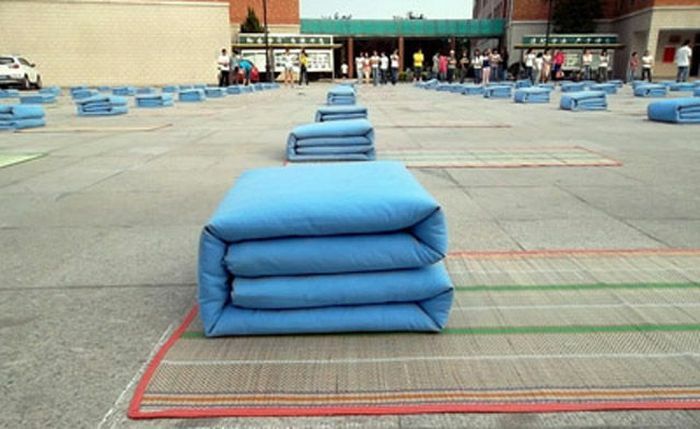 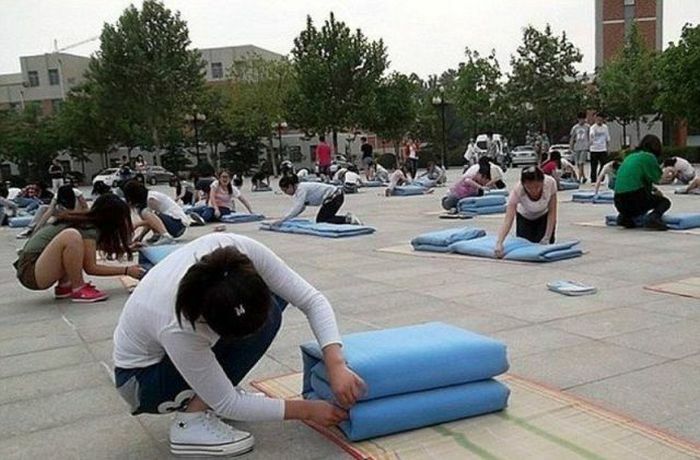 Chinese students have to make this test where they are judged on how quickly and neatly they can make a bed. 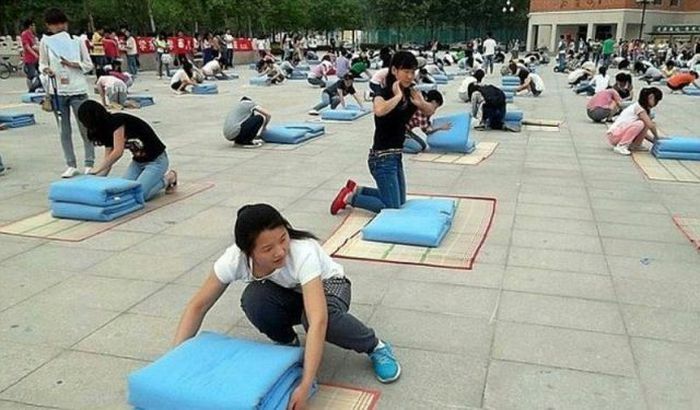 The real trick is how quickly you can make them into a comfy place to sleep. 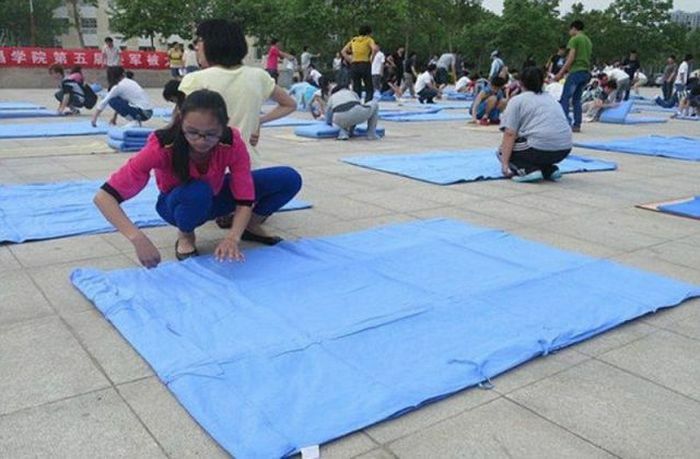 I only see sheets . . Where's the bed?